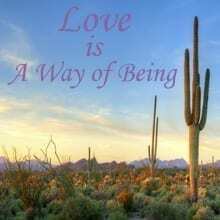 View cart “Love is a Way of Being (3 dvd set)” has been added to your cart. 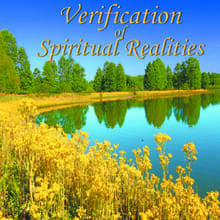 In “God is Hidden Within the Beauty of the Music” Dr. Hawkins speaks on the calibrated levels of consciousness of 500 and above, explaining the states and characteristics of these levels. He tells us how in the high 500s there is a progressive joy, and even ecstasy, everything is seen as beautiful and perfect and outside of time, moving in slow motion, and you may cry all the time. At the level of 600 and above, the Divinity of all that exists becomes apparent and there is an infinite silence that you recognize is not different from that which you are and is closer to your inner self than you ever thought possible. The Totality of Oneness is of such immense power it is beyond human imagination. As one goes into the enlightened state, the incredible energy of it is overwhelming. 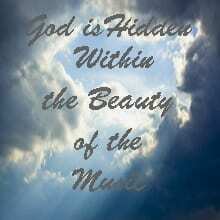 That which holds all Reality and the entire Universe together is the Presence of God expressed as existence. He reveals that to comprehend the fact that all seeming opposites are an arbitrary positionality gives you a key to remove that positionality and collapse the illusion. When you couple this with devotion and a willingness, then enlightenment is a certainty. First there must be integrity, then a life devoted to willingness and a very simple tool is all that is needed. The process of a letting-go-ness brings an evolution of consciousness. It requires only surrender. A willingness to constantly surrender everything to God as it arises and let go of the outer layers until it reaches a great depth. Then there is the discovery that there is already within you that which loves God to the degree that it’s willing to lay down its life for God, with joy! And very interestingly, Dr. Hawkins speaks about a new branch of man that is forthcoming: Homo Spiritus. Homo sapiens may experience pain past the levels of 600, however this new hominid will have a more robust nervous system that will be able to handle the higher spiritual energies.